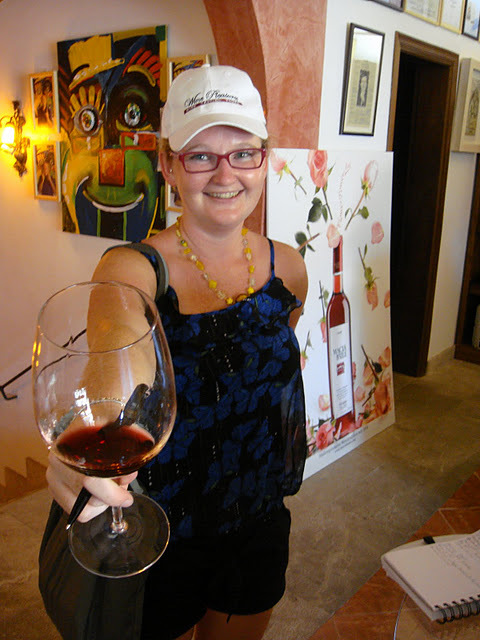 It’s a place where you get 300 days of sun a year and where winemaking dates back to the time of the Roman’s in 123 B.C. It’s the Island of Mallorca, an 8-hour ferry ride from Barcelona or Valencia. 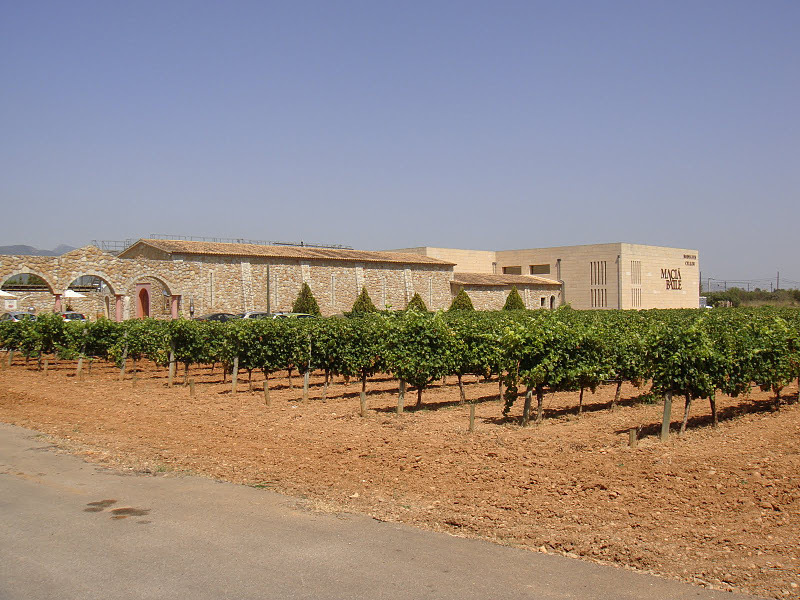 It was here in 1856 that now one of the largest wineries on the Island started out, Macià Batle. With 120 hectares of vines you are spoilt for choice. The grape varietals range from those native grapes of Mallorca like Prensal Blanc and Mantonegro to the more international grapes of Chardonnay and Syrah. With only 20% of their production being exported it is nearly a must to go to the winery to see what Mallorcian winemaking is all about. The winery is now in the hands of the 5th generation of the family who like to emphasize that making superb wine is truly an art. On their Reserva Privada labels they choose an artist to design each new vintage alongside showcasing art exhibitions in the winery to show this great matching of wine and art. A visit to Macià Batle, whether it be for the art or the winery is a new experience. 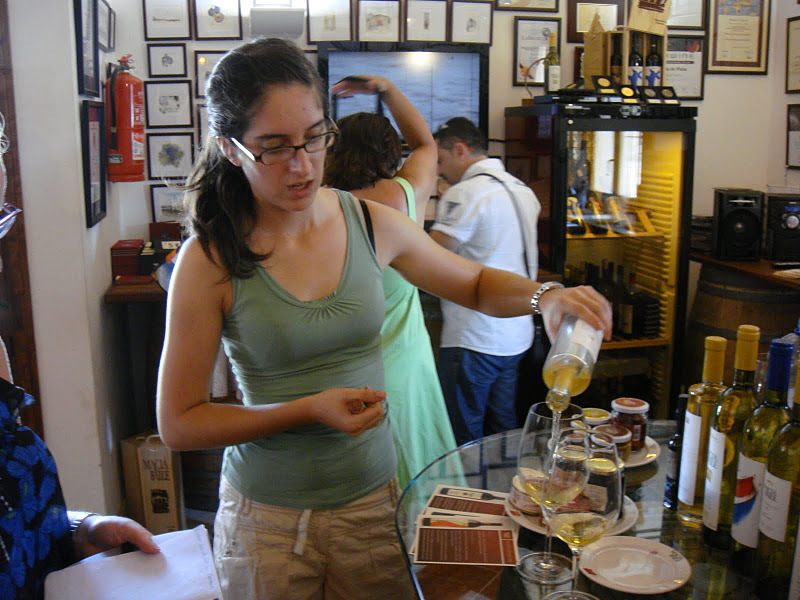 You can book guided tours however they say that they are an ‘open production winery’ so you can actually go on self-guided tours. To me this seems a strange concept and I can see the pros of doing this especially in busy season however the let down for me would be that there are no signs or booklets or anything to actually explain each part of the winery. Maybe I am just being old fashioned! Of course the pinnacle of any winery tour is the tasting. 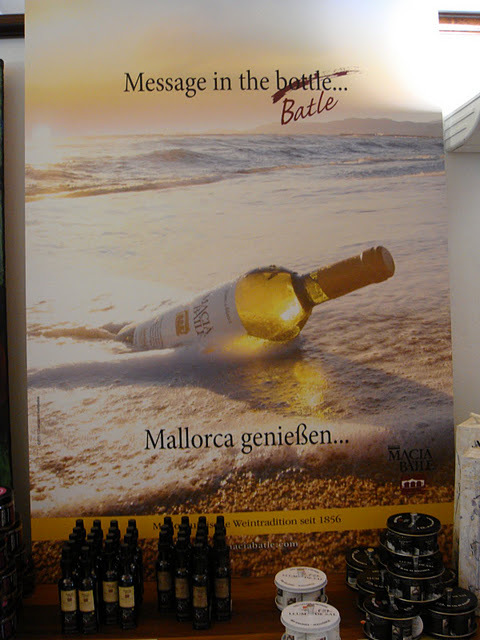 A pattern I have seemed to find with Mallorcian wines is the high alcohol percentages, due to the nice warm weather. Macià Batle seem to know their wines as they served up these small traditional Mallorican crackers with a variety of different toppings including green and black olive pestos, sundried tomato spread and pork pâté. They sure were delicious and definitely cooled down the alcohol burn in my throat. Blanc de Blancs 2010 – This Prensal Blanc and Chardonnay blend was a light 18-carat gold colour in the glass with floral and citrus notes on the nose. The palate was medium bodied with tropical fruits and herbs coming through. Nice and balanced until the pang of alcohol hit. Crianza 2008 – Harvested by hand this Mantonegro, Callet and Cabernet Sauvignon blend has a nice cherry red colour. Black fruits and spice come through on the nose with a farmyard touch. The tannins are smooth with black cherries and coffee dominating the flavours however the signature touch of an alcohol burn in the throat leaves you feeling a touch unpleasant. Reserva Privada 2007 – Hailing from 40-year old vines, this Mantonegro, Callet and Cabernet Sauvignon blend is a slightly purpled garnet on the eye with aromas of baked plums, mocha and licorice descending from the glass. The palate is a fruit bomb with a drizzle of vanilla sauce on top. Lovely impacting finish. For more information on booking a tour or where you can find the Macià Batle wines please contact Wine Pleasures or the Macià Batle Estate.